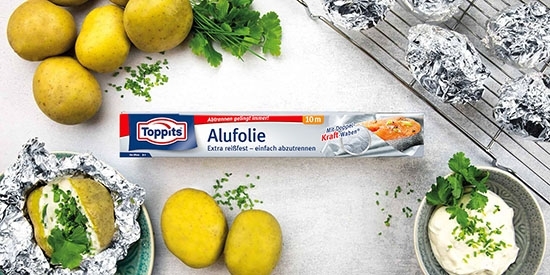 Wie du dir mit der Toppits® Alufolie die Ofenreinigung sparst. What would the kitchen be without the oven, the king of household appliances? Probably a cold place without culinary delights. However, it certainly doesn't make it easy for you when it comes to cleaning. Let's face it, cleaning the oven is no fun. So here's an idea to make it easier on you. Before you use the grill or the top heating element, simply place a piece of Toppits® aluminium foil on the base of the oven. 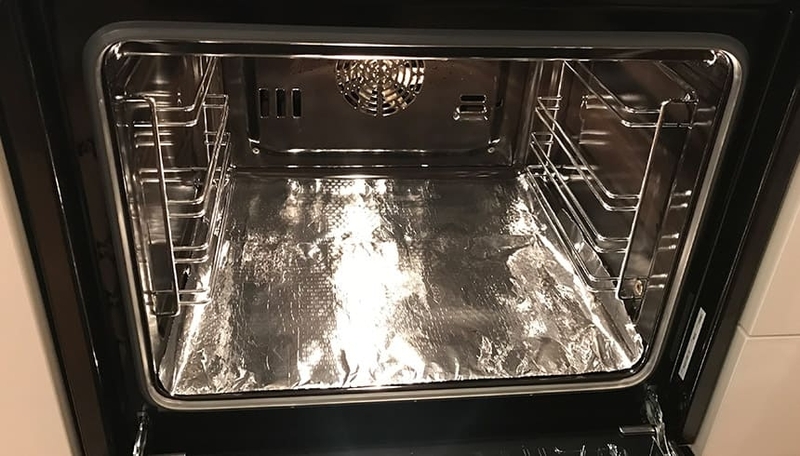 Dripping fat and other stains that occur during grilling and baking are simply collected on the foil - and you can postpone the next tiresome cleaning job..